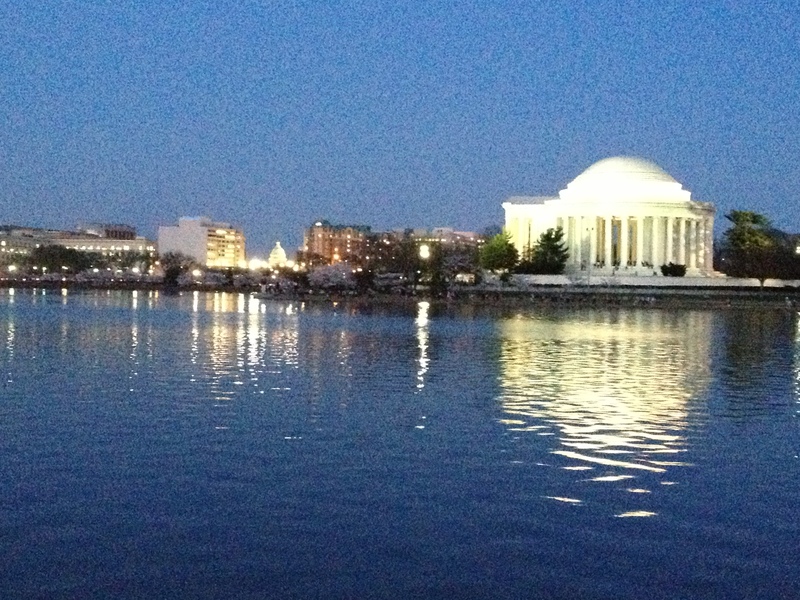 When Sharlene suggested a walk around the Tidal Basin after work, Erin and I decided we should absolutely go! After all, it’s peak cherry blossom season and wouldn’t there be fewer people there than the weekends? Sharlene left work early and went to drop off her car. Erin and I were going to pick her up on the way, drop into Whole Foods for a meal to go, and then we would walk around the Tidal Basin with a quick detour to have dinner on the back of the Lincoln Memorial at sunset. 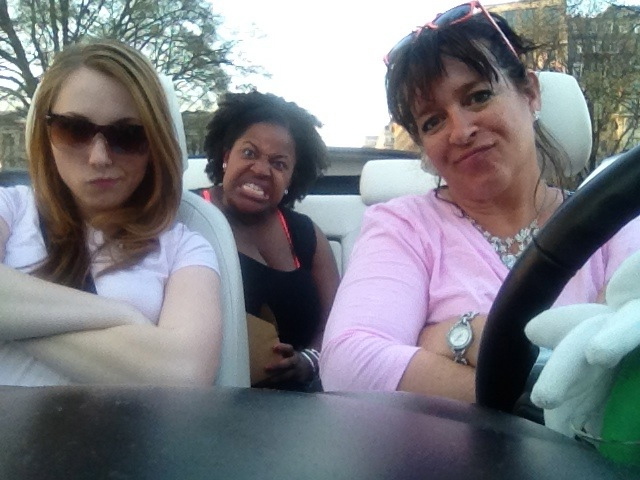 The plan began to unravel when Erin and I hit traffic on 14th street. The damn left turners kept tying things up. Sharlene had given up and walked to Whole Foods so we could just meet her there. She texted she was in the produce section. We inched out way up to Pennsylvania Avenue. Sharlene moved on to frozen foods. We crawled to K street. Traffic began to ease up until we hit Thomas Circle. I was easing my way back on to 14th when the ambulance pulled up next to me and attempted to drum up some business by causing my heart attack when they honked. It deafened me, although they seemed to get a good chuckle out of it. Traffic finally broke and we finally reached Whole Foods. 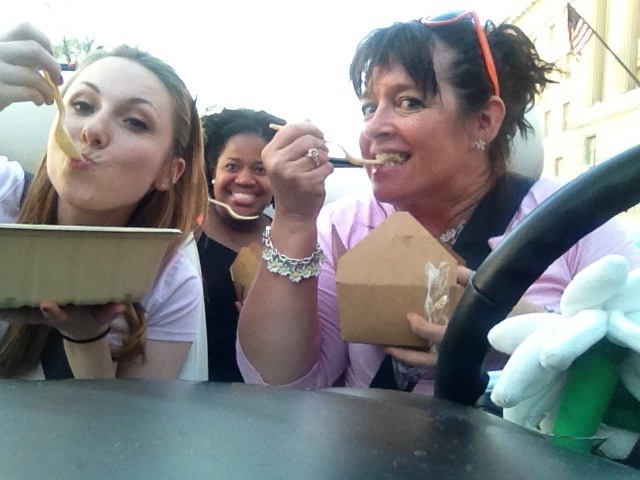 Each of us got dinner and a drink and headed back to the car. We pulled out and I started to head down 17th towards the Mall. 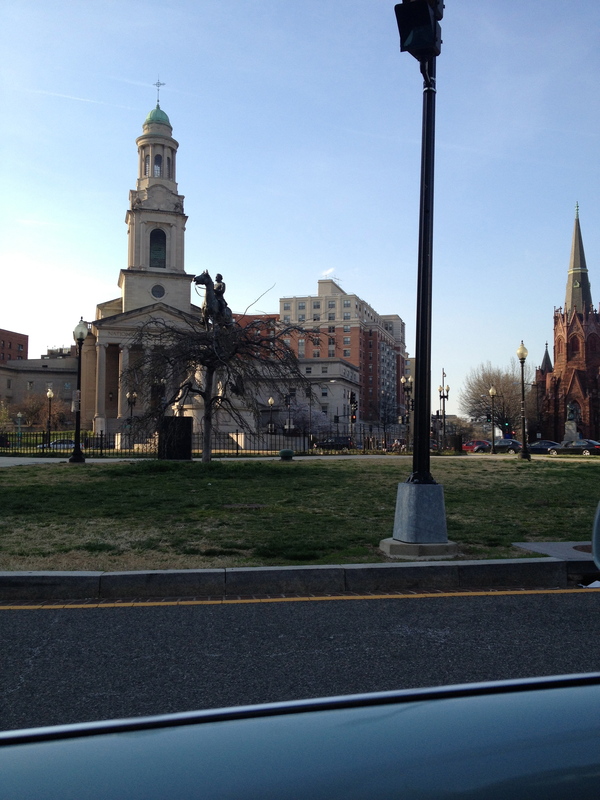 We inched our way to H St and then crawled up 15th. As the sun slowly sank, we realized we weren’t going to make it to the Lincoln for sunset. 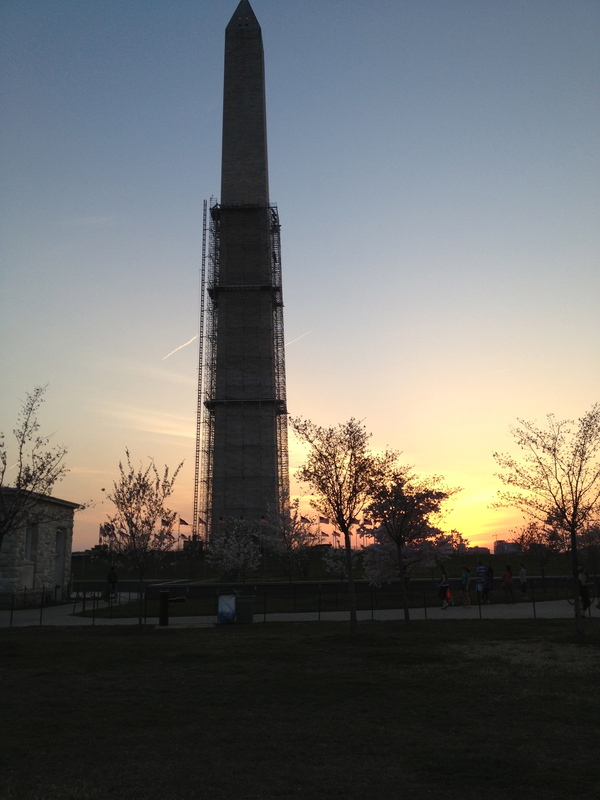 In fact, we enjoyed it as we slowly eased past the Washington Monument. 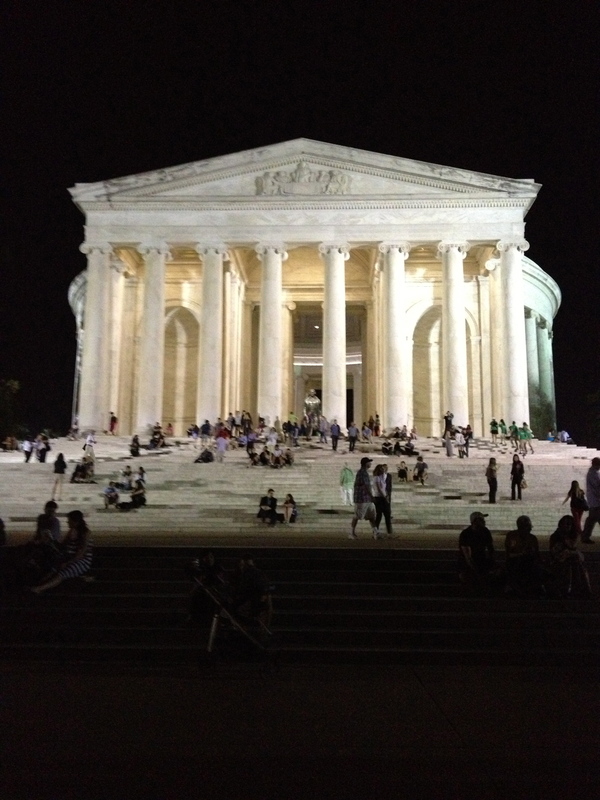 By the time we rounded the Jefferson, the sun had set and talk turned to nighttime monumenting. Our luck began to turn when we found parking, closest to the cherry blossoms and on our first pass through parking lot A. 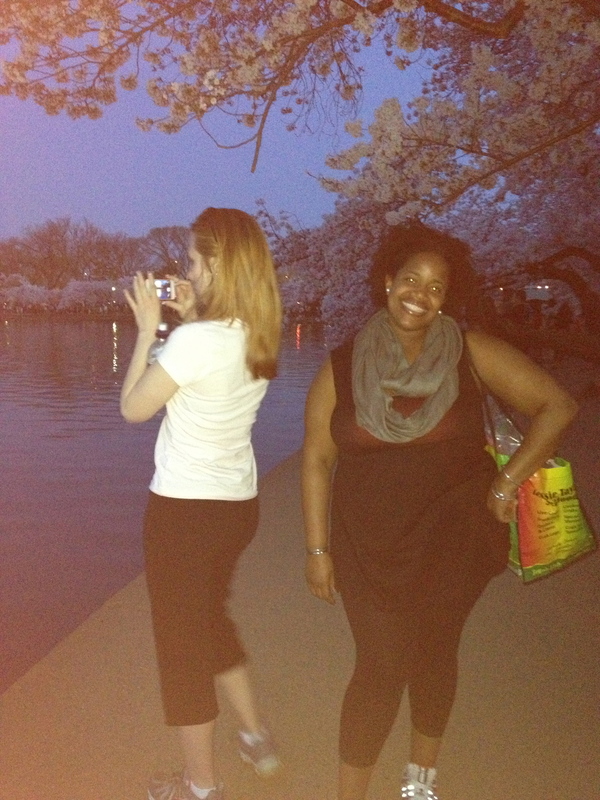 We hustled over to the Tidal Basin and shuffled along with the tourists. 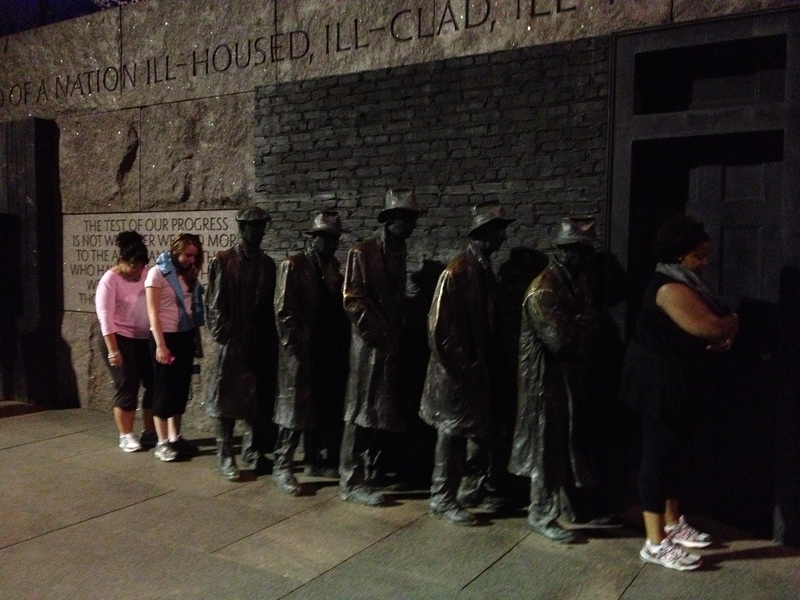 We detoured through the FDR memorial because it’s my favorite. 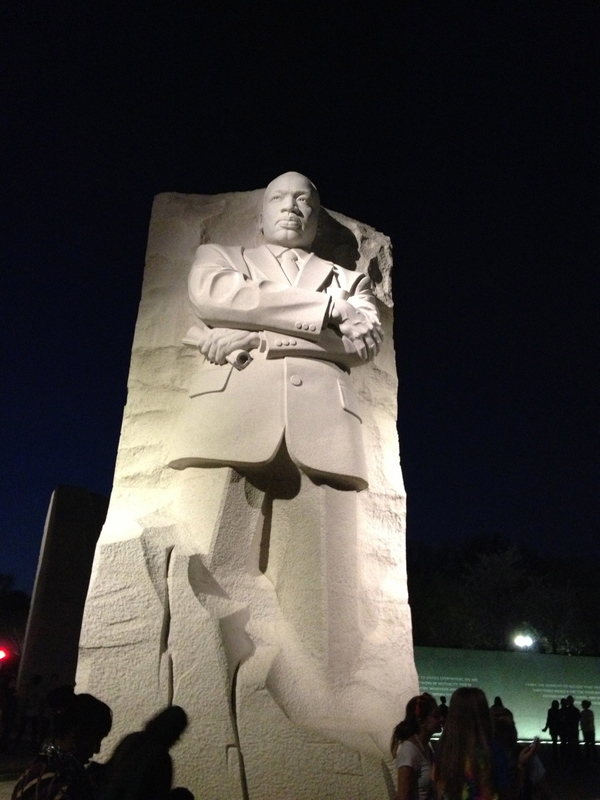 Then we stopped into the MLK memorial. When we got through that, Sharlene left us to walk back to her house and spare us the ordeal of going back through the city (I love you, Sharlene!). Erin and I walked by the Jefferson memorial and completed the 2 mile loop before heading back to the car. Thankfully, traffic had eased up and the 8 miles home took us less time than the 2 mile drive from Whole Foods. I love DC! 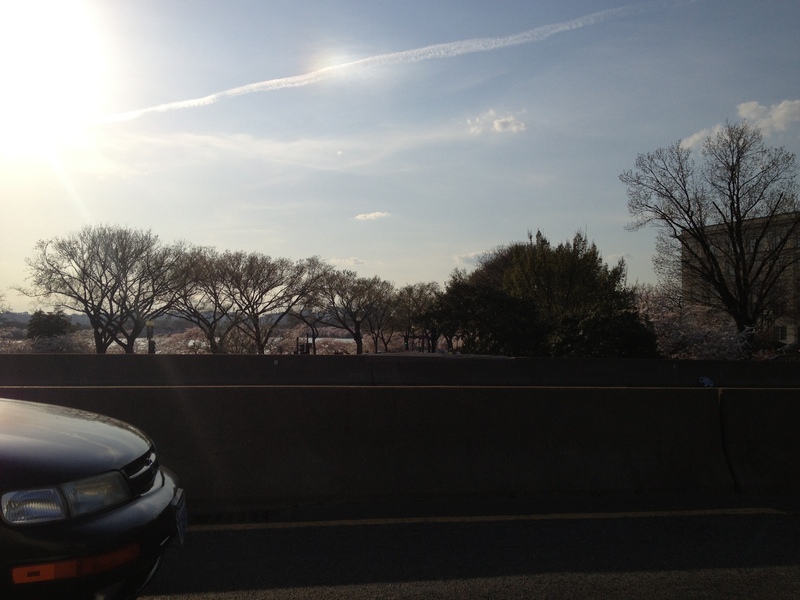 This entry was posted in Bucket List, DC Adventures, Life Story and tagged Cherry Blossoms, convertible, DC, dinner, picnic, traffic, whole foods. Bookmark the permalink.